The incident occurred in an airport in Crete when the couple was returning from Greece to Israel. The Arab Israeli couple, Sahar Issawi and her husband, Firas Asali, was subjected to a thorough check at Heraklion airport in Crete, during which they were asked hundreds of questions about their marriage and were forced to remove their underwear, Haaretz reported. 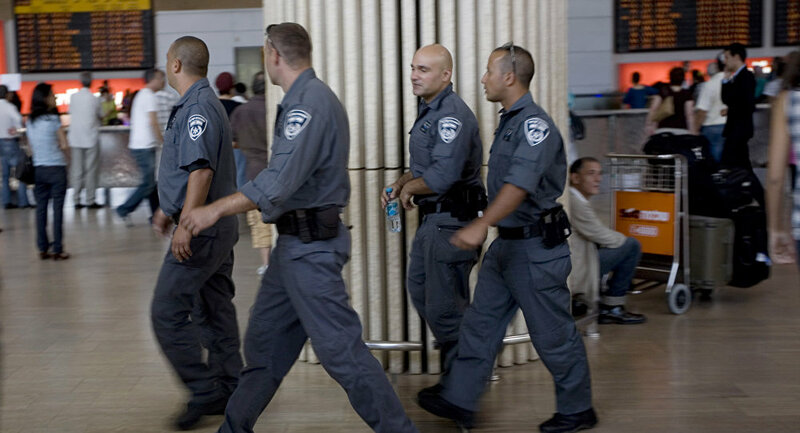 Israeli security guards met them at the check-in counter on May 10, when the couple was going to fly home and showed them into separate rooms where the questioning began. "The security guard asked me how long I knew my husband, how many times we had traveled together, when, and to where," Issawi said, adding that she had answered all question although she felt humiliated. The woman was also asked to present their marriage license, but she didn't have it with her. "I said 'Seriously? Does anyone travel with their marriage license?'" Issawi recalled, adding that her husband had to answer similar questions. Then the chief security officer told them that their baggage would be searched without their presence and that they had to undergo a physical check-up which meant that Issawi had to remove her bra and her husband his pants. There was only one other couple on the flight, also Arab, that was subjected to a similar "investigation." At some point during the process Issawi started shooting a video on her cell phone but it was later deleted by the security staff. The couple was also accompanied by an officer into the bathroom and even during their flight. Issawi and her husband recently sent a complaint to Israir airline, demanding that it should pay compensation and publicly apologize; otherwise they'd file a lawsuit. The incident has stirred up vivid debate among social media users. Some social media users criticized the incident. Others, however, believed that the behavior of security officers had nothing to do with discrimination and that the Haaretz article is part of anti-Israeli propaganda. If you look up the people that were supposedly "profiled" they have written numerous opinion articles filled with anti Israel propaganda. So IF this happened (Big IF) I would imagine their anti-israel propaganda would be the reason why. — Yocheved (@dlsmith0817) 11 июня 2018 г.